The 2016 PNW PGA Exemption lists are now available. Visit the Tournaments page to view the complete lists. 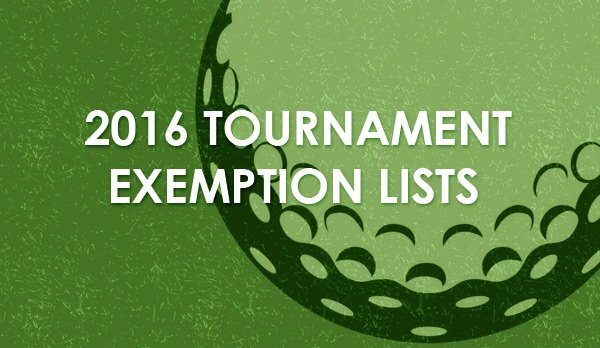 New this year, the Tournament Committee has adopted a Senior Professional Exemption list. This new exemption list will affect the Senior Players’ Championship at Wine Valley GC, the Senior Oregon Open Invitational at Wildhorse Resort, and the Western Washington Chapter’s Senior Washington Open Invitational at The Cedars at Dungeness. Please note that the exemption priorities for these events have changed. Visit the respective tournament webpages to see the new entry priority for each of these events. Thanks and look forward to a fantastic 2016 tournament season!